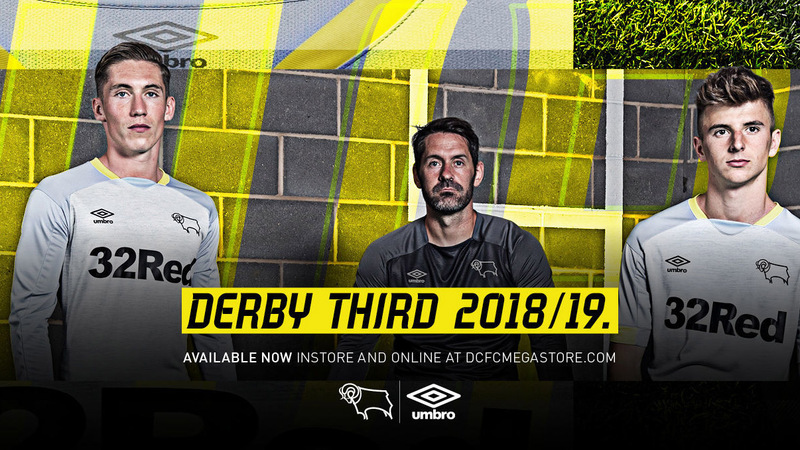 English Championship club Derby County released their new 18-19 third kit made by Umbro. 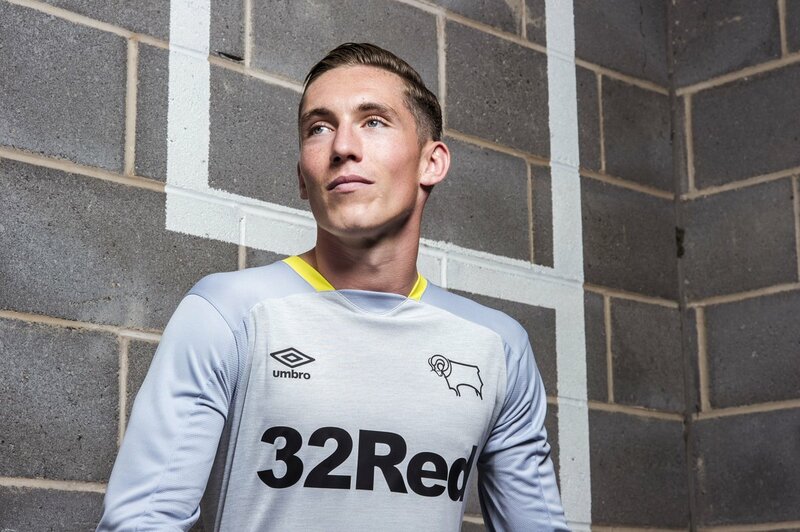 The new Derby County 18-19 third kit has light grey color with the melange effect. The sleeves are zen blue, the collar and the cuffs are yellow. Zen blue coloured shorts and Grey dawn coloured socks complete the third Derby County kit 2018-19.